With two years to plan, the organized labor in Chicago and throughout Illinois sent out questionnaires to employers to see how they felt about shorter hours and other issues, including child labor. Songs were written like "the Eight Hour Day" (available on American Industrial Ballads, Folkways, FH 5251); everywhere slogans were heard like "Eight Hours for Work, Eight Hours for Sleep, Eight Hours for What We Will!" or "Shortening the Hours Increase the Pay". Although perhaps a simplistic solution to unemployment and low wages, the Eight-Hour Day Movement caught the imagination of worker across the country. 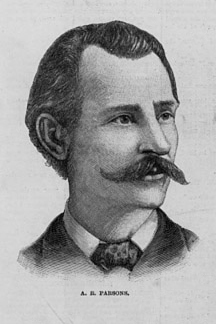 Chicago with its strong labor movement had the nation's largest demonstration on Saturday, May 1, 1886, when reportedly 80,000 workers marched up Michigan Avenue arm-in-arm carrying their union banners. The unions most strongly represented were the building trades. This solidarity shocked some employers, who feared a workers' revolution, while others quickly signed agreements for shorter hours at the same pay. On Sunday, May 2, Albert went to Ohio to organize rallies there, while Lucy and others staged another peaceful march of 35,000 workers. But on Monday, May 3, the peaceful scene turned violent when the Chicago police attacked and killed picketing workers at the McCormick Reaper Plant at Western and Blue Island avenues. This attack by police provoked a protest meeting which was planned for Haymarket Square on the evening of Tuesday May 4. 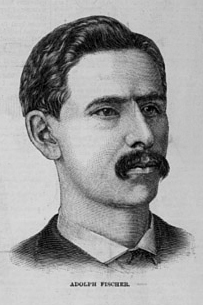 Very few textbooks provide a thorough explanation of the events that led to Haymarket, nor do they mention that the pro-labor mayor of Chicago, Carter Harrison, gave permission for the meeting. While the events of May1 had been well planned, the events of the evening of May 4 were not. Most speakers failed to appear. Instead of starting at 7:30, the meeting was delayed for about an hour. Instead of the expected 20,000 people, fewer than 2,500 attended. Two substitute speakers ran over to Haymarket Square at the last minute. They had been attending a meeting of sewing workers organized by Lucy Parsons and her fellow labor organizer Lizzie Holmes of Geneva Illinois. These last minute speakers were Albert Parsons, just returned from Ohio, and Samuel Fielden, an English-born Methodist lay preacher who worked in the labor movement. union movements. In Chicago, labor leaders were rounded up, houses were entered without search warrants and union newspapers were closed down. 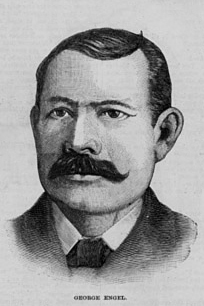 Eventually eight men, representing a cross section of the labor movement were selected to be tried. 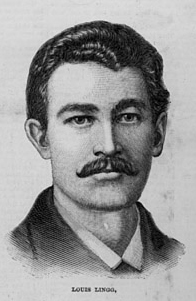 Among them were Fielden, Parsons and a young carpenter named Louis Lingg, who was accused of throwing the bomb. Lingg had witnesses to prove he was over a mile away at the time. 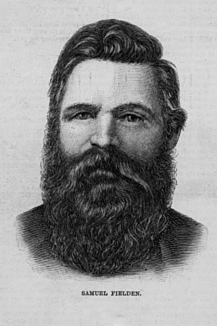 The two-month-long trial followed ranks as one of the most notorious in American history. The Chicago Tribune even offered to pay money to the jury if it found the eight men guilty. 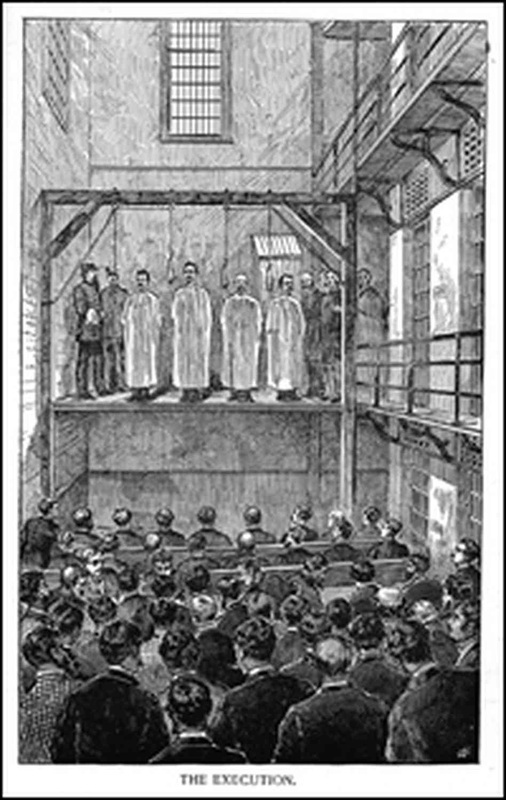 On August 20, 1886, the jury reported its verdict of guilty with the death penalty by hanging for seven of the Haymarket Eight, and 15 years of hard labor for Neebe. On November 10, the day before the execution, Samuel Gompers came from Washington to appeal to Governor Oglesby for the last time. The national and worldwide pressure did finally force the Governor to change the sentences of Samuel Fielden and Michael Schwab to imprisonment for life. Although 5 of the 8 were still to be hung the next day, on the morning of November 10, Louis Lingg was found in his cell, his head half blown away by a dynamite cap. The entire event was most mysterious, since Lingg was hoping to receive a pardon that very day. 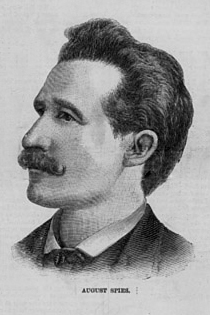 Adolph Fischer, George Engel, Albert Parsons and August Spies were hanged on November 11, 1887. 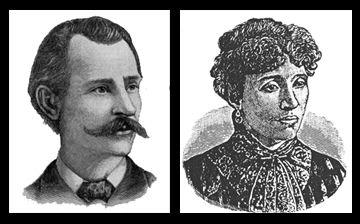 In June of 1893, Governor John P. Altgeld pardoned the 3 men still alive and condemned the entire judicial system that had allowed this injustice. 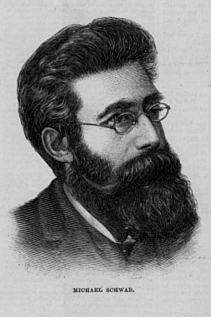 The real issues of the Haymarket Affair were freedom of speech, freedom of the press, the right to free assembly, the right to a fair trial by a jury of peers and the right of workers to organize and fight for things like the eight-hour day. While textbooks tell about the bomb, they fail to mention the reason for the meeting or what happened afterwards. 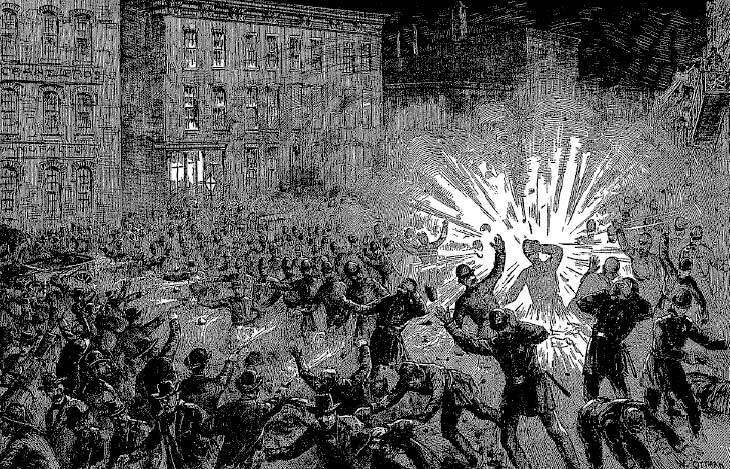 Some books even fail to mention the fact that many of those who were tried were not even at the Haymarket meeting, but were arrested simply because there were union organizers. Sadly, these rights have been abridged many times in American history. During the civil rights marches of the 1960's, the anti-Vietnam war demonstrations and the 1968 Democratic National Convention, we saw similar violations to our constitutional rights. For years, half of the American Labor movement observed May 1 as Labor Day, while the other half observed the first Monday in September. After the Russian Revolution the May 1 date was mistakenly associated with communism, and a protest against Soviet policy, May 1 was first proclaimed Law Day in 1960‘s. 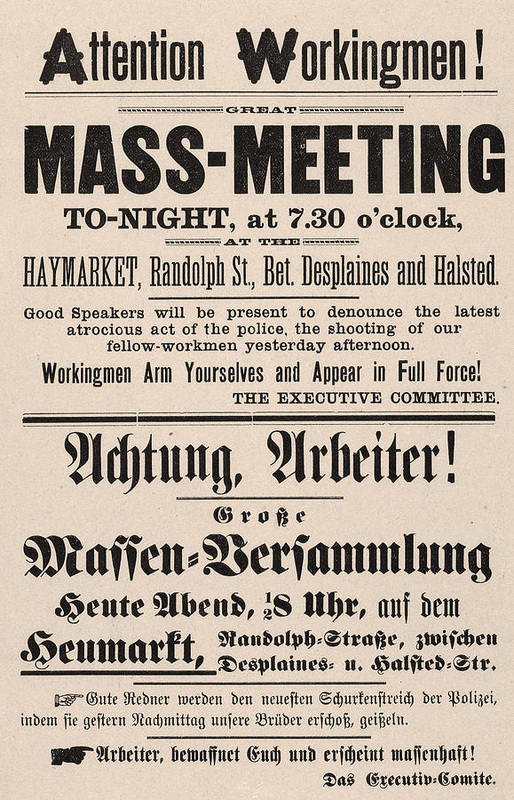 The year 1986 marked the centennial of the Eight-Hour-Day movement and the Haymarket Affair. Folk singer Pete Seeger and a group called ―The People Yes,‖ named after Sandburg‘s volume of poems by that name, planned a nationwide celebration. This event offered teachers a unique opportunity to teach the facts about Haymarket and to correct the distortions and inaccuracies in our textbooks.